January-March is an iffy three months for mountain biking in North Carolina. One weekend it is 65 degrees and sunny, the next weekend there is a blizzard, and the week after the backyard (and the trails) are flooded. So, what is a bike-loving gal to do in those unpredictable months when the trails are closed and spirits are down? Grab the little bike and head up North! That's right, two of the biggest indoor mountain bike parks in the world are just a hop/skip/long drive/plane ride away. Three years ago -- on Valentine's Day -- three gal pals and I packed up a truck with bikes and set our sights on Cleveland, Ohio. I had heard a few stories, seen a few videos, but nothing would really prepare me for what Ray's Indoor Mountain Bike Park would be like. With snow pouring down, we wiped down our bikes and headed inside for my first Women's Weekend experience. I was nervous as hell, afraid my BMX racing and downhill mountain biking background wouldn't transfer too well to wooden features, skinnies and wall rides. But, my trepidation gave way to a weekend that was so filled with joy I could barely lift my hand to give another high-five. I can now say that was the weekend that changed my life and made me want to become a mountain bike coach and travel the country to get ladies stoked on bikes. Though, at the time, all I could think about was the limitless stoke. Flash forward to this year, 2016: this girl has a lil' business called SPOKED and is invited up to Ray's MTB Cleveland to coach for the first time and Ray's Milwaukee again, after making my debut in 2015. The emotions were there, for sure. Since it is nearly impossible to describe how amazing this event is in words, I'll do one better and share a few photos of my experience at both events, courtesy of Ray's MTB. I will say, it is a complete honor to be able to coach alongside some of the best in the business and to see so many amazing women conquering their fears and shredding hard. Thank you to everyone that made it possible. 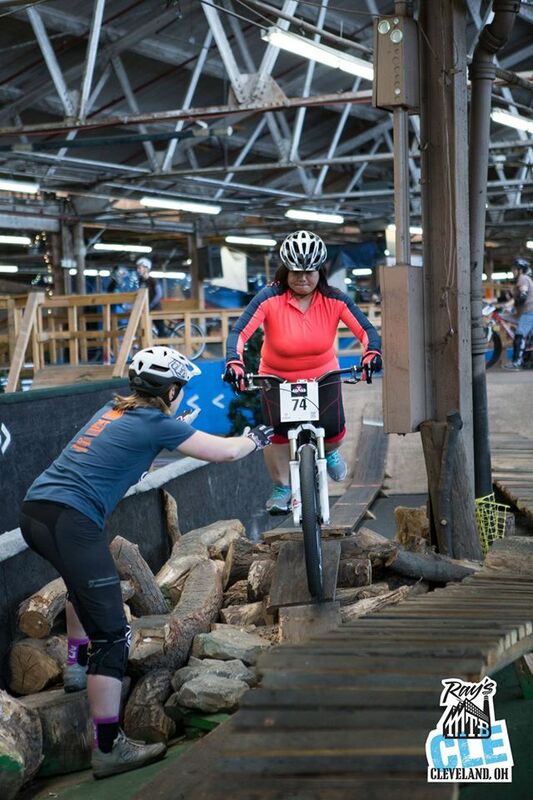 Be sure to check out RaysMTB.com/womensweekend so you can put it on you calendar for next year!